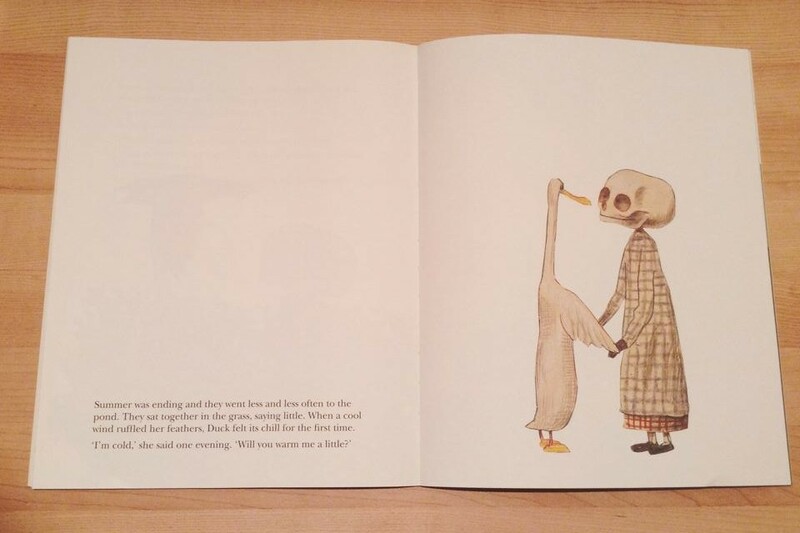 Explaining the concept of death to children can be a daunting and awkward task. We are afraid of scaring of upsetting them but they are actually a lot more matter of fact and down to earth about these things than we give them credit for. 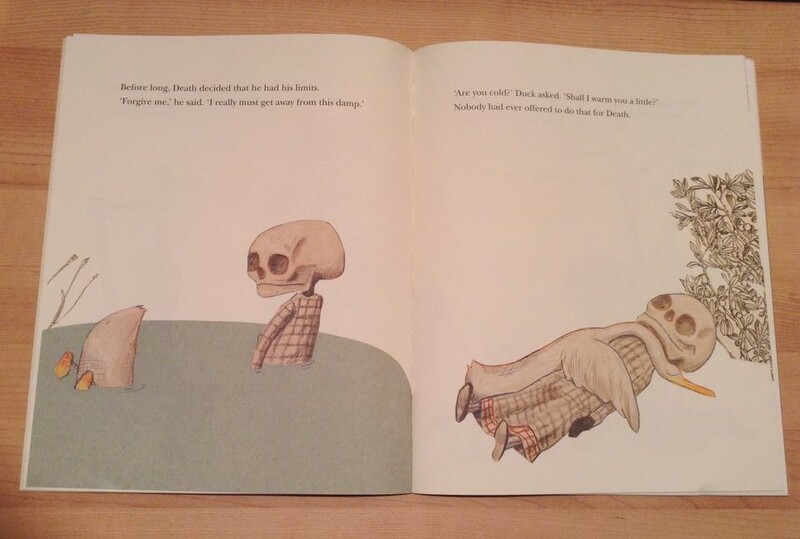 These days there are many books available to help explain death to children in a relatable and honest way. 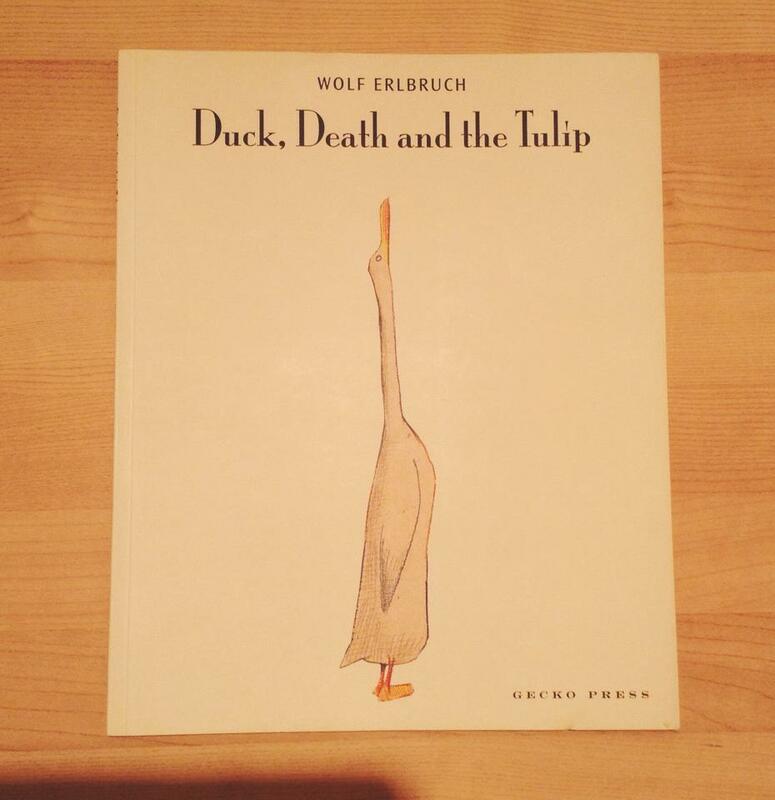 ‘Duck, Death and the Tulip’ by Wolf Erlbruch is my absolute favourite. It’s gentle, open and beautiful. 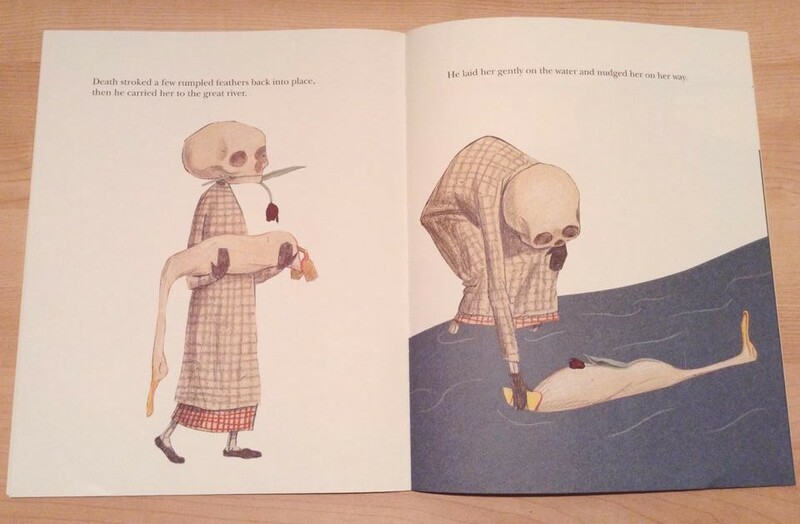 It embraces the ‘D-word’ instead of using confusing metaphors and shows Death as a warm and friendly skeleton. Death positive perfection. Although this book looks like it’s aimed at children I genuinely feel that all ages can enjoy it and benefit from it. I am always moved whenever I re-read it. It’s truly enchanting. You can get a copy here or from all good book shops. 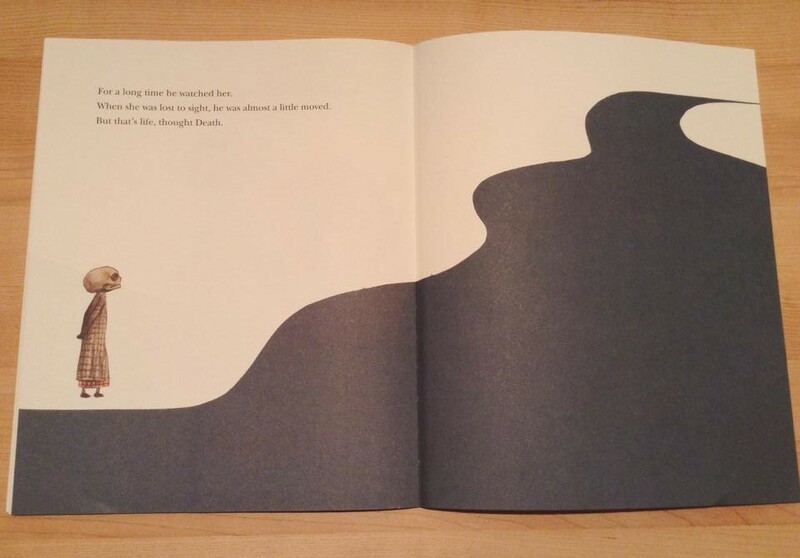 Before long, Death decided that he had his limits. “Forgive me,” he said “I really must get away from this damp”. “Are you cold?” Duck asked. “Shall I warm you a little?” Nobody had ever offered to do that for Death. Death stroked a few rumpled feathers back into place, then he carried her to the great river. He laid her gently on the water and nudged her on her way. For a long time he watched her. When she was lost to sight, he was almost moved. But that’s life, thought Death.